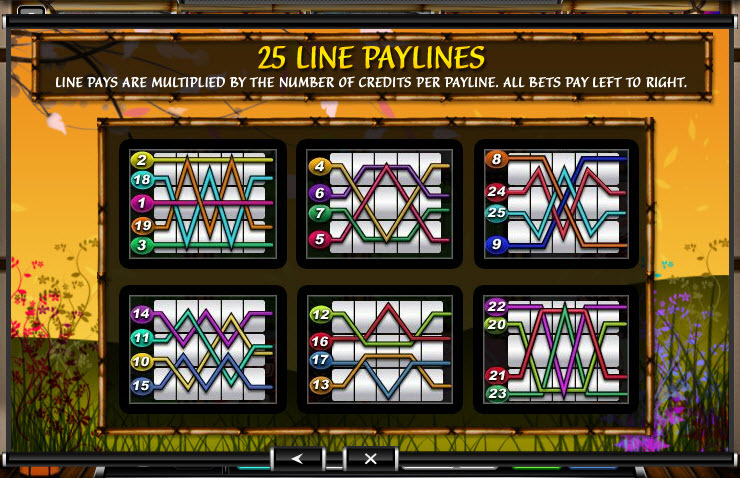 Overview: Learn the way of the warrior with Samurai Slot, a 5-reel, 25-line video slot. 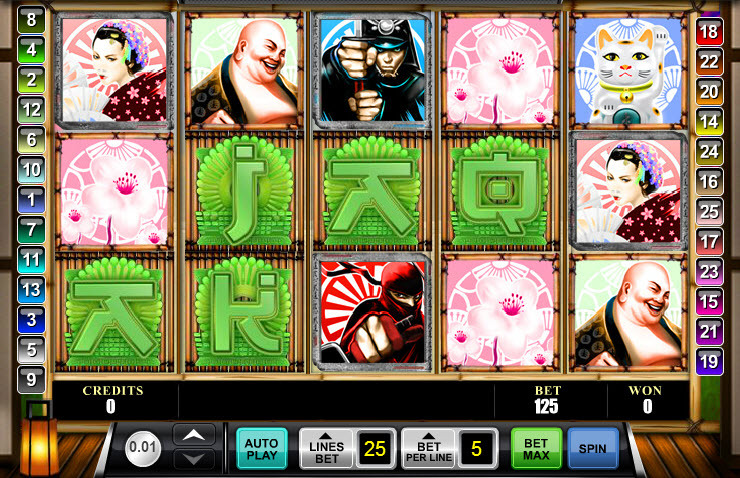 Set in a Japanese motif, players can bet 1-5 coins with denominations from 0.01 to 0.25 on the maximum of 25 pay lines available for play for a max bet of 125 credits per spin. 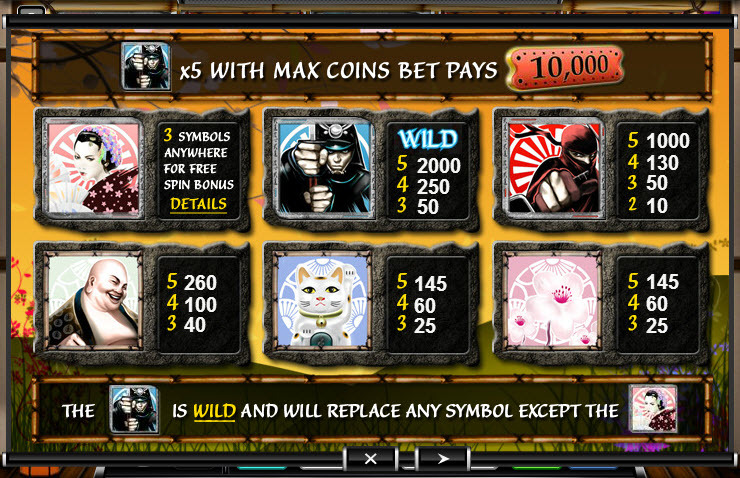 Stumble upon 5 Wild Samurai symbols in the same pay line using the max bet to win a massive 10,000 coins. Get more chances to earn cash in the Free Spin bonus. 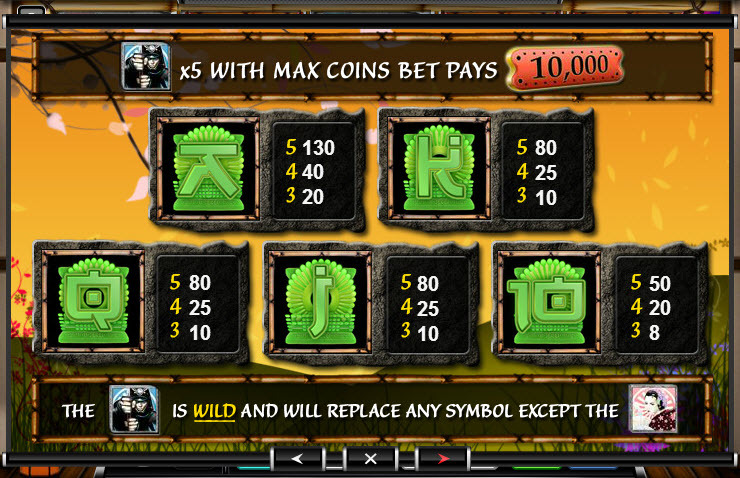 Just find 3 or more Free Spin symbols anywhere on the reels to enter the bonus round. Spin the big bonus wheel to determine how many spins and what multiplier you will receive during the bonus. Win 5 spins with a 1x multiplier all the way up to 20 spins with a 3x multiplier. 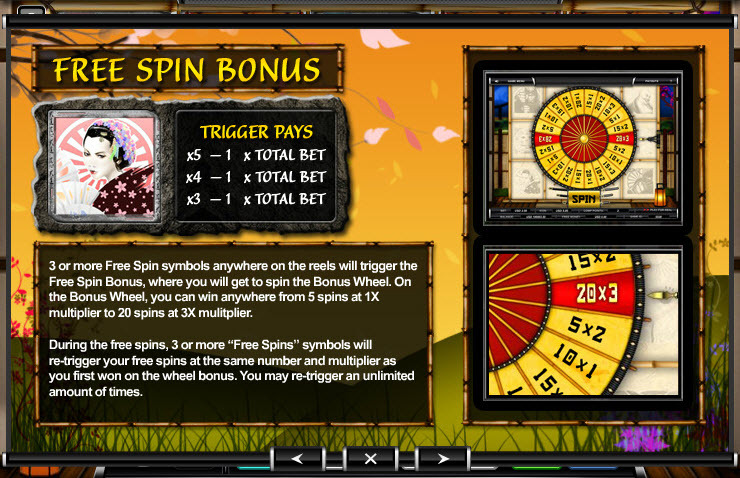 Get 3 more Free Spin symbols to re-trigger more free spins at the same number and multiplier. The bonus aggregate, so the more Free Spins you find in your bonus round the closer you will become to being a master (of jackpots). Similar Slots: If you like Samurai Slot, you might like these other slot machines from Ace Gaming: Aces High, Black Magic, King's Castle, Volcano Bonus, Wild Sushi.